We women are wonderfully made, but, boy, we sure are emotionally intricate. 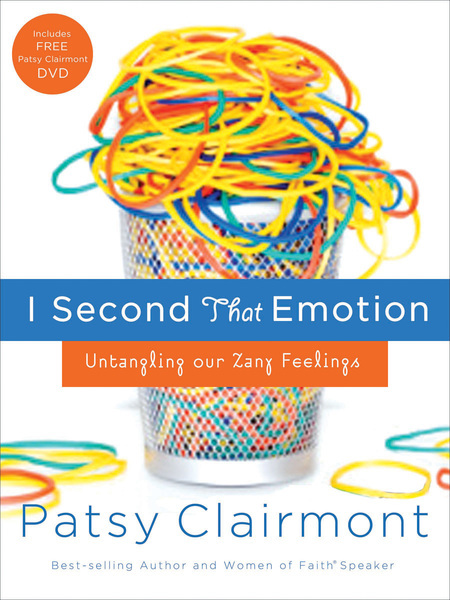 With her trademark conversational style and wit, Patsy Clairmont tackles a subject most women feel at a loss to approach—their feelings. I Second That Emotion takes one of Patsy’s most popular topics at the Women of Faith conferences and shows how you can deal with a turbulent emotional life. I Second That Emotion pulls some of our emotions out to examine them individually. Don’t allow life to push your emotional buttons till you have an emotional meltdown. Instead, let God help you get untangled.